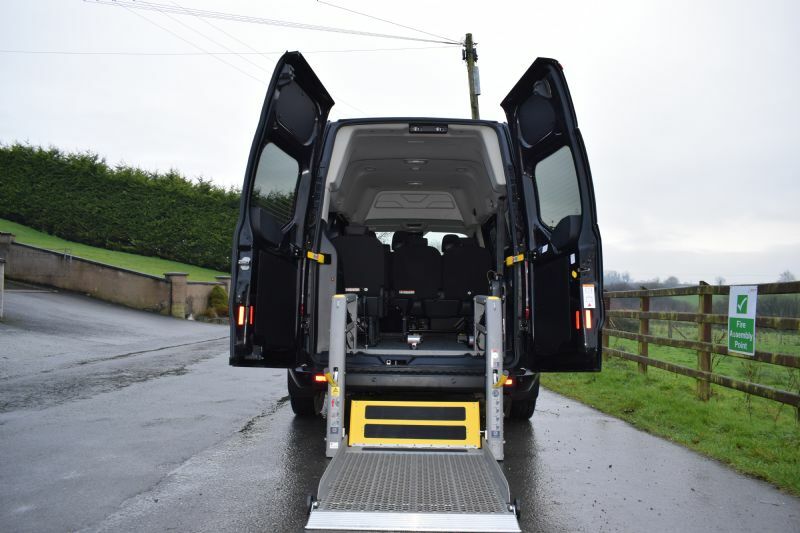 The Ford Tourneo Custom Family 320 L1 Zetec 2.0 TDCi 105PS Manual Diesel has been converted by McElmeel Mobility Services to make it fully wheelchair accessible. The Ford Custom Family is the perfect vehicle for wheelchair users who have a large wheelchair or regularly need to carry luggage or medical equipment. 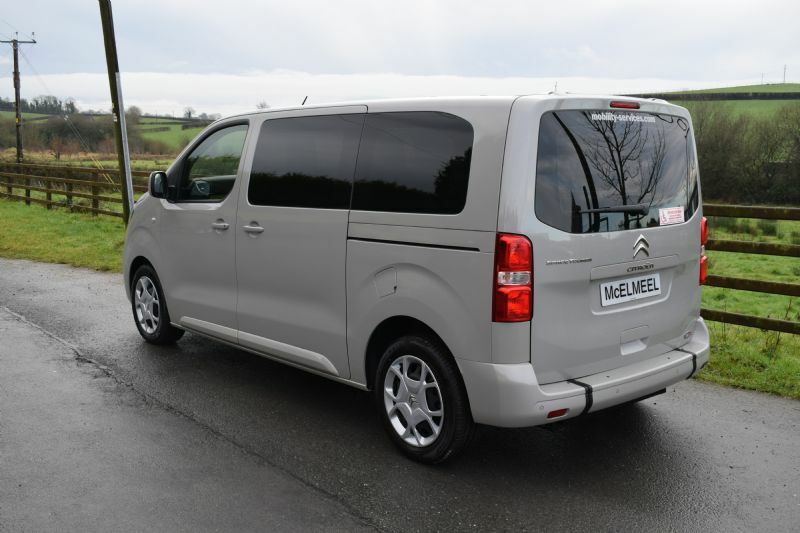 This lowered floor conversion by McElmeel's with 16" Alloy Wheels gives the space afforded by a larger vehicle with the comfort and drivability of a car. 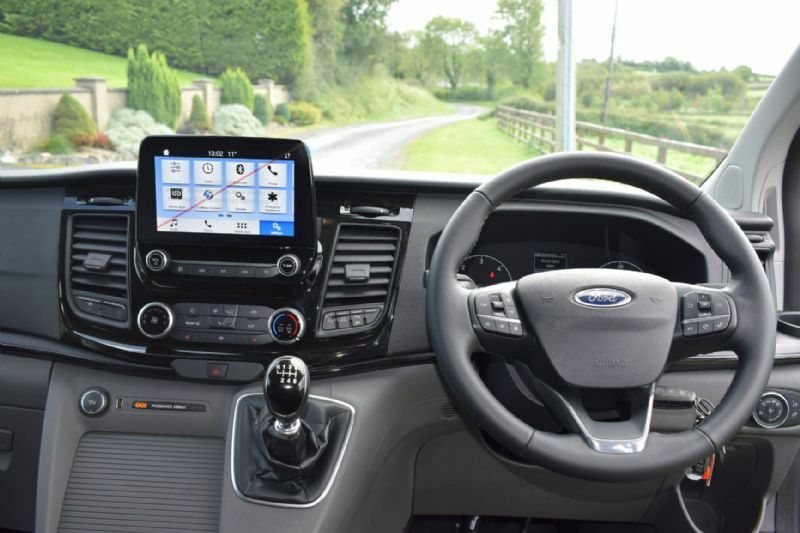 A highly spec car with AM/FM radio with SYNC, Bluetooth, 4.2" TFT display, remote controls, integrated control panel, USB connectivity port with Ipod functionality and front and rear park assist as standard. With the option of 1 or 2 front passenger seats and 2 rear passenger seats as standard giving generous wheelchair space down the centre. Another tip and fold seat can be added at an extra cost. Available from £30,125.00. Price includes delivery and first registration. VAT not included in price. VAT is 20%. Wheelchair users are VAT exempt. This SWB vehicle is available to purchase privately or through the Motability Scheme for customers receiving the Higher Rate Mobility component of DLA or PIP.